When was the last time you helped foment a revolt? If you have to think back to some playground escapade or high school cafeteria food fight, then you really need to get to Boston, where the night of December 16, 1773 is played out every day at the Boston Tea Party Ships & Museum. You won't be an onlooker: You'll be a full-fledged participant in an act of treason against the crown, so the adrenaline rush will definitely exceed the one you experienced when the principal snatched away your straw loaded with mushy cafeteria peas. You may have forgotten the date of the Boston Tea Party, but surely you remember a few details of this pivotal event in American history. The bit about riled up colonists donning Mohawk disguises and boarding ships in Boston Harbor. Or their rallying cry: “Boston Harbor, a teapot tonight!” Or perhaps the aftermath: England's Parliament and King George III were not exactly amused by this rebellious act, and within 16 months, the mother country and its colonies were at war. The staff at the Boston Tea Party Ships & Museum work passionately each and every day to re-imagine the telling of the Tea Party story and to make the attraction a thought-provoking, moving, interactive drama — not merely a memorable history lesson — for guests. After lightning sparked a fire at the attraction in 2001, it took Historic Tours of America, its owner, more than a decade to navigate the process of permitting, funding and rebuilding. Unveiled in June of 2012, the new Boston Tea Party Ships & Museum is designed to captivate a modern audience with authentic replica ships, theme park-inspired marvels and a talented cast of reenactors, many of whom spend their nights performing on Boston-area stages. 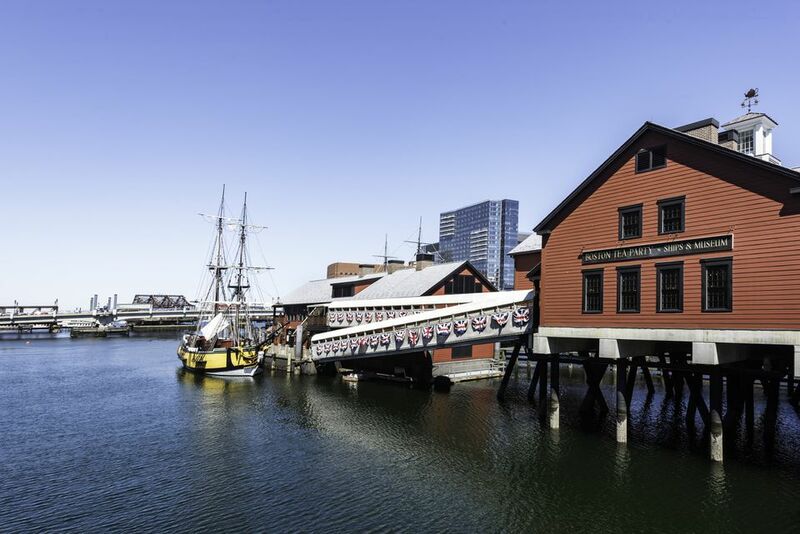 Even if you’re not into museums, the Boston Tea Party Ships & Museum is a city attraction you won’t want to miss. You’ll be part of the experience from the start as you’re handed a role card and a feature disguise the moment you step inside the attraction's Meeting House at your appointed tour time. You’ll even get to throw the tea overboard. And it all takes place on three ships, which are replicas of the originals down to the hulls covered in copper. Actors at the Boston Tea Party Ships & Museum thoroughly research their roles and remain in character, leading to interesting exchanges with visitors and making each tour of the attraction a one-of-a-kind adventure. In an hour's time, you'll have a deep appreciation for the gritty determination of Bostonians, who played a critical role in the formation of our nation, as well as food for thought to go along with a steaming cup of tea at Abigail's Tea Room on-site. Sip one of the same tea varieties that was dumped in Boston Harbor in 1773. July is when they also open up the patio for “Sunset on Griffin’s Wharf” with colonial-themed cocktails. Hours: Tours begin every half hour starting at 10 a.m., with the last tour each day scheduled for 4 p.m. The Boston Tea Party Ships & Museum are open year-round. Admission: Tickets may be purchased at the ticket booth outside the attraction, but you'll save money by buying in advance online. Without the online discount, adults are $29.95 and children are $18. Directions: The Boston Tea Party Ships & Museum is located at 306 Congress Street in Boston along the Fort Point Channel. For more information, visit the Boston Tea Party Ships & Museum Web site. There’s plenty to do nearby the Boston Tea Party Ships & Museum. As it’s located on the Fort Point Channel, you can check out the up-and-coming Fort Point neighborhood, where you’ll find the Children’s Museum and the new Trillium Fort Point, a popular local brewery that also has a restaurant. The Seaport is also a short walk, another area that is getting built up very quickly. There are now several restaurants, shops and things to do along this waterfront neighborhood. It’s also part of the Boston Harborwalk, a 43-mile public walkway that takes you along the city’s waterfront neighborhoods.